This is the second of a series articles based on interviews with people and companies passionate about sharing the authentic flavors of Mexico. I had a long talk, nearly 2 hours with Justin Jahnke the head of marketing for El Norteño who explained how the company developed, where it is now and its plans for the future. His enthusiam for the product and company was contagious. 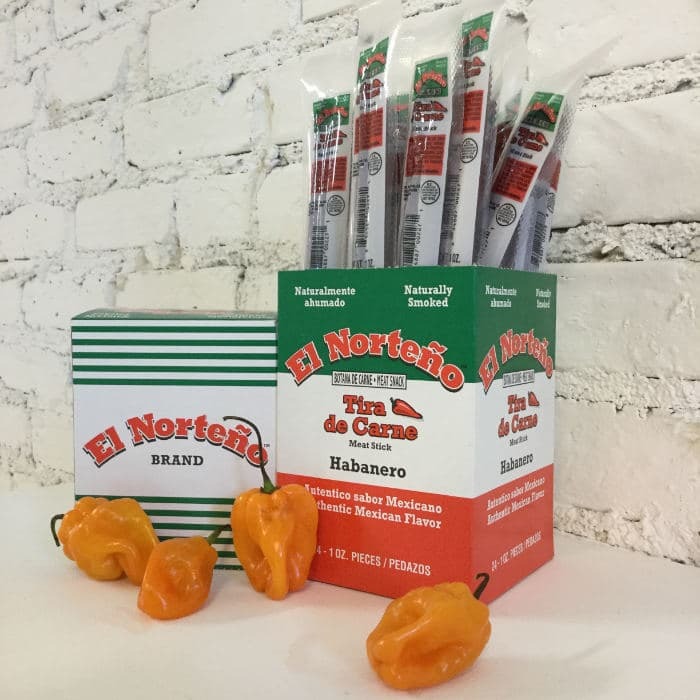 The El Norteño Brand was born during a dinner Scott Hare, the owner of Monet Foods had with some Mexican friends in 2012 in which they were discussing the”taste of home” or “como hecho en casa” in Spanish. 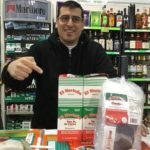 His friends recommended that he create a snack that captured the authentic flavor and texture of Jalisco style cecina, a type of dried beef. They promised him that there would be a market in the U.S. for it. 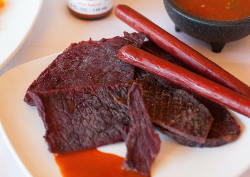 El Norteño meat snacks capture the authentic flavor of Jalisco. 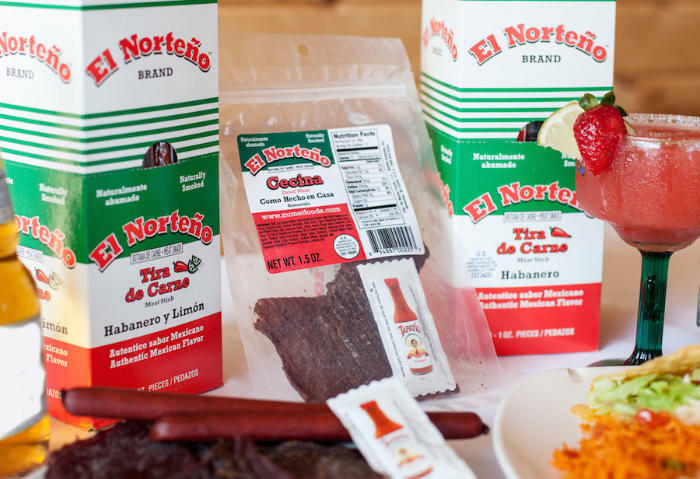 Over 18 months, Scott worked with a team from Guadalajara, Mexico and Los Angeles perfecting the recipe to make sure El Norteño cecina was in their words, “ the real deal – a True Mexican Meat Snack.” “This is cecina. This is Mexican.” – Alejandro Crespo, Crespo Sales and Marketing, Guadalajara, Mexico. El Norteño’s meat snacks are made with quality ingredients: 100% American beef and pork, natural wood smoke with no fillers or msg added. Their snacks are USDA approved so they are able to sell nationally. El Norteño’s snack have proven to be very popular since their launch in early 2016. In less than a year, their snacks are sold in more than 800 stores in California, Colorado, Texas, Florida, Georgia Illinois, New Jersey and Wisconsin. You may be able to find their snacks in your hometown. Berto was one of the first grocers who took El Norteño into his store back in January or February 2016. Justin says he’s a cool guy. He runs the Don Beto market in Madison, Wisconsin with his family. 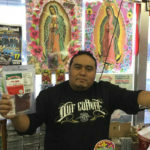 Monet Foods and El Norteño are family businesses and work a lot with family owned and operated markets. Zeus is from Guadalajara. He manages two bodegas in Madison, Wisconsin, the Madison Bazaar and W. Badger Road Food and Liquor. He’s really into music, mostly heavy metal and eats a ton of cecina himself. According to Justin, Zeus is the man. 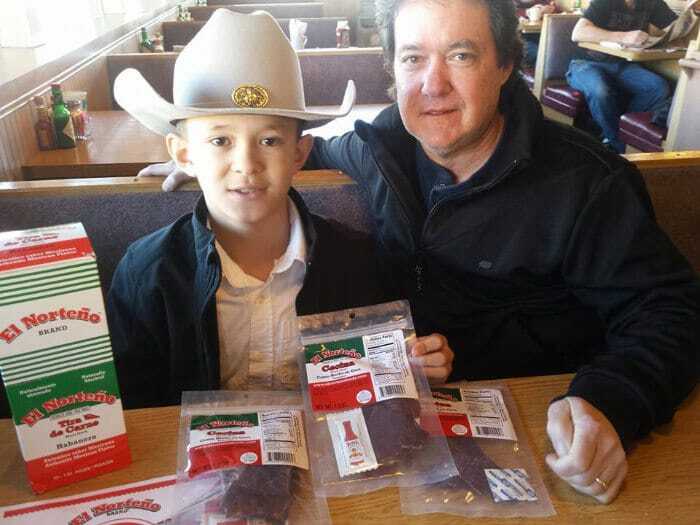 Two-Time World Champion Rodeo rider, Dimitri Alarcon, out of Fort Lupton, Colorado is El Norteños first product ambassador. Dimitri is only 10 years old, a great kid, very humble, very talented, and very generous with his spirit. Watch Dimitri in action, here and here. 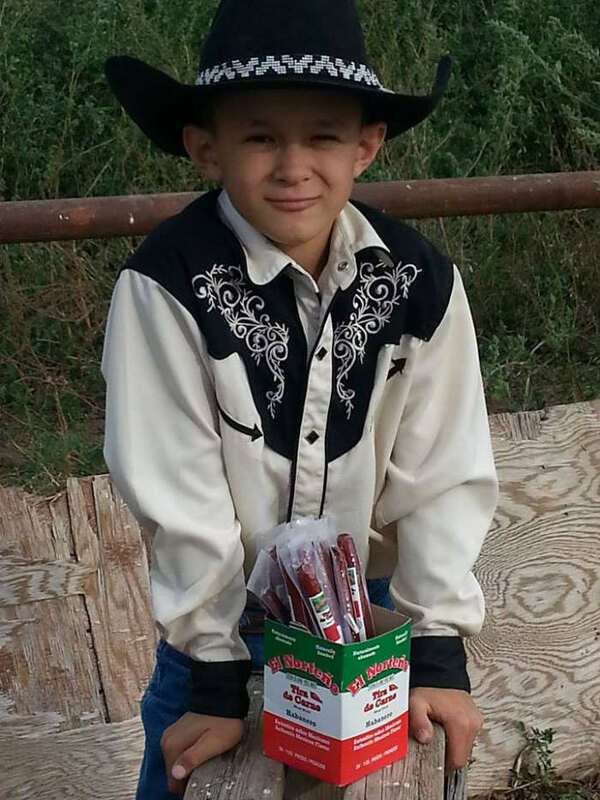 Dimitri, who is diabetic, uses El Norteño products to train. He is also a National Champion wrestler. El Norteño provides him with product and would like at some point to set-up a scholarship for his future. 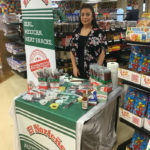 If you see El Norteño products in your local market be sure to give them a try. Contact them through their website and they may be able to ship their products to you.